Yes, we are having a bit of a garden obsession. The last green thing we saw was moldy bread! So bear with us. 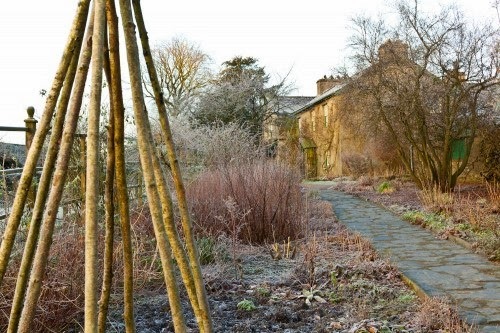 Today's garden fantasy belongs to the ever popular Beatrix Potter. 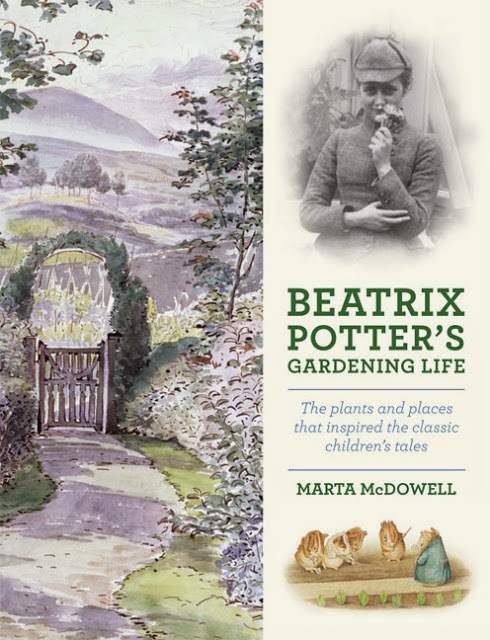 Marta McDowell has assembled Beatrix Potter's Gardening Life, a collection of gardening photos, vintage pictures, writer's diary, watercolors, and botanical prints that would leave even those with black thumbs, delighted. McDowell was not a childhood convert to Potter's work. At her wedding shower, she received a Mrs. Tiggy-winkle cookie jar. She thought the fashionable hedgehog was a porcupine. She has no memory of who gave her the jar, nor of that husband! 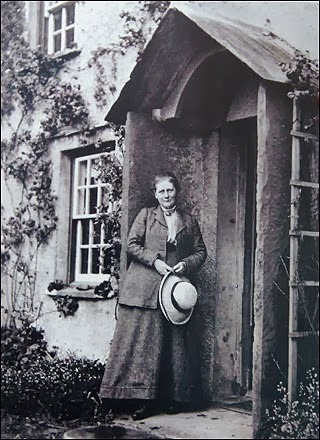 She came to Beatrix Potter after visiting Hill Top Farm, Potter's beloved home. She was smitten. No wonder the tiny animals of the hedgerows became such beloved characters. 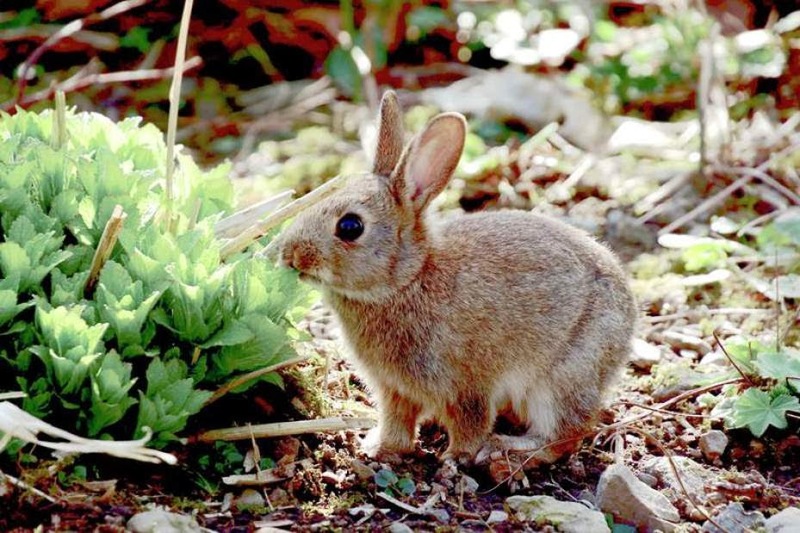 Could this be a descendant of Flopsy, Mopsy, or Cottontail? It is bad enough that there is snow everywhere, but finding a garden that is beautiful in winter -- I am so jealous.